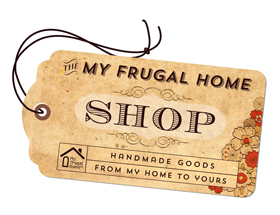 Want to up your frugal game? Join one of our challenges. Is it too soon to call 2018 a wash? 4 out of 16 days. 25%. Today, because we need spackle (taking down pics to paint & 'neutralize' for sale prep). I told him Sunday while at Lowe's that we needed spackle. Men - love them, but when they believe something... "I believe there's some in the paint cabinet." I don't think so. "Let's look again." Yeah. Also need to buy a book on beginning container gardening for a budding gardener we know who lives in a rocky area but has containers. I love the kids in our kids' group, everyone has the most earthy hobbies. Two knit hats and scarves for the homeless and only ever want yarn! The boys are a little harder but this one has decided he's going to grow some of their food. Can't knock that. None of these kids is over 16. Some good kiddos right there - Nice! I have surpassed my own expectations and am quite proud of myself. I have ONLY spent on necessary bills (mortgage, utilities, credit card payment from charging new roof and new frige) and food and household supplies for myself and the pets. Even the food and household spending has been as minimal as possible and I have planned out every meal and every left-over and nothing has been wasted - even vegetable scraps are in the freezer to be made into broth. My snacks at work are not lasting like they are "supposed to" - I used to always have a second breakfast when I got to work and I think if I go back to doing that I won't want to snack so much. I am keeping three lists - one is everything on hand in the food cupboard, frige and freezer. Another is a running list of the things I am running low on that I MUST have on hand (flour, oatmeal, pet food, vegetables, dried beans, soy or almond milk, canned tomatoes, etc.). The third is things to go in my grocery cart as I can find sales/coupons/deals on them - such as cold cereal, peanut butter, etc. Since I have a small stash of some of these things I can wait for a "rock bottom deal" before buying more. I am working my way through free samples of several products - shampoo, conditioner, deodorant, lotion, toothpaste, mouthwash, laundry soap, hair spray, etc. I do enjoy getting the little freebies in the mail. I too have only spent money on home, food and utilities. I almost fell off the no spend wagon yesterday...received an email from J Jill...their small petite clothes fit me perfectly and are excellent quality. 50 % sale off already marked down clothes....I looked, started putting pants into the basket and then deleted the email. I shouldn't even have looked. I chalk it up to being cooped up in the house and because I don't go anywhere have been wearing old nasty looking clothes. So today I bathed, lotioned and potioned as Becky used to say, and put on nicer looking clothes. It makes me feel better to look half way decent. I don't even look in mail order catalogs, they go into recycling immediately but that email got to me. Kitty, I feel your pain. While I "could use" a whole new professional wardrobe, as long as I can manage to go to work every day wearing something that is neat, clean and "business casual", I am not buying. But I look at some of those emails and they are SUCH GREAT DEALS...it is tempting. I have been marking them as "spam" lately so I won't see them. A few of the women at work dress to the nines. Not everyone does. I can't afford to or I probably would. I stick with basics - black and gray and navy and tan dress slacks, some fun, printed tops for spring/summer/into fall and a few sweaters (pink, gray, navy, white, purple/multi) for winter. I have a few cardigans and jackets that mix in there nicely and a couple of multi-season dresses, so I do okay. What I really probably would buy right now if I found the right deal would be a pair of heavy winter tights in black. And I have been searching for a pair of mid calf boots without a high heel - in gray - but I won't pay $60 or even $40 - I might pay $20. Click here to view our latest videos.